If you've been contacted by a collection agency, the unpaid debt may already be on your credit report. 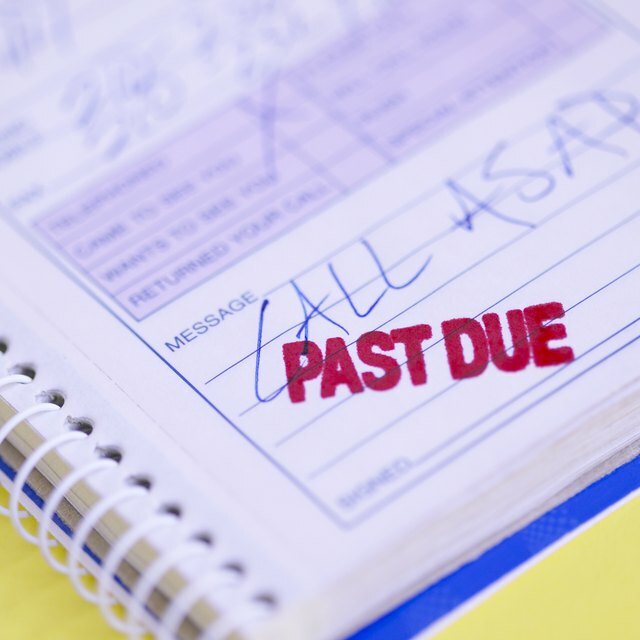 When a creditor can't get you to pay the debt, they'll charge it off as a bad debt. After a bill is charged off, it's generally turned over to a collection agency. Creditors wait about 90 to 180 days before giving up and letting a collection agency try its luck at recovering the debt. If your creditor regularly reports your accounts to the bureaus, you can expect the unpaid bill to show up as delinquent on your credit report soon after it becomes past due. Otherwise, if your creditor doesn't report to the bureaus, you can expect to see the delinquency once it is sent to collections, which can take around three to six months. If the creditor has been reporting your payment history to the credit bureaus, it will report the debt as delinquent once you miss a payment. The debt will continue appearing as an unpaid or past-due debt each month until you pay the bill or it goes to collections. If you fail to pay a bill through a creditor that didn't report to the bureaus each month, the debt will only hit your credit score once it's turned over to a collection agency. Creditors typically send an account to collections after six months of nonpayment, but this time period varies. Because your payment history makes up 35 percent of your credit score, an unpaid debt can have a significant impact. According to Equifax, a missed payment can lower your score by up to 110 points depending on your credit history. After the bill goes into collections, the credit score drops even more. The exact impact a charge-off will have on your score varies, depending on many factors. For example, a higher score is more likely to experience a substantial drop than a lower credit score. Under the Fair Credit Reporting Act, collection accounts are limited to a reporting period of seven years. The debt may be removed sooner if there are reporting errors or discrepancies. Once the account is in collections, you'll have to negotiate with the collection agency, not the original creditor. If the account is paid, it won't erase the negative information from your credit report. The debt still appears, but the account is reported as "settled" or "paid as agreed" rather than as "charged off." Will My Credit Score Rise If I Pay Off My Collection Accounts? What Happens When a Credit Card Account Is Charged Off? What Happens After a Debt Is Charged Off? Will Breaking Your Apartment Lease Affect Your Credit Score? Charge-offs don't release your liability. You are still obligated to pay the debt. Even after the seven-year reporting period has expired, the debt isn't always forgiven. Depending on your state, the creditor may still sue you in an effort to recover the debt. The statute of limitations varies among states, but it is up to 15 years in certain locations. There's a common misconception that medical bills don't count against you. Although creditors and lenders are sometimes more understanding when it comes to medical debt as opposed to credit card or other debt, scoring models don't differentiate. An unpaid medical bill is scored the same way as other accounts in collections. Credit Karma: How Do I Make a Payment to a Debt Collection Agency? Equifax: Can One Late Payment Affect My Credit Score?